Hi everyone! I'm off to New York City this week for a really amazing opportunity... I can't wait to share more with you! Follow me on Snapchat to keep up with my adventures! 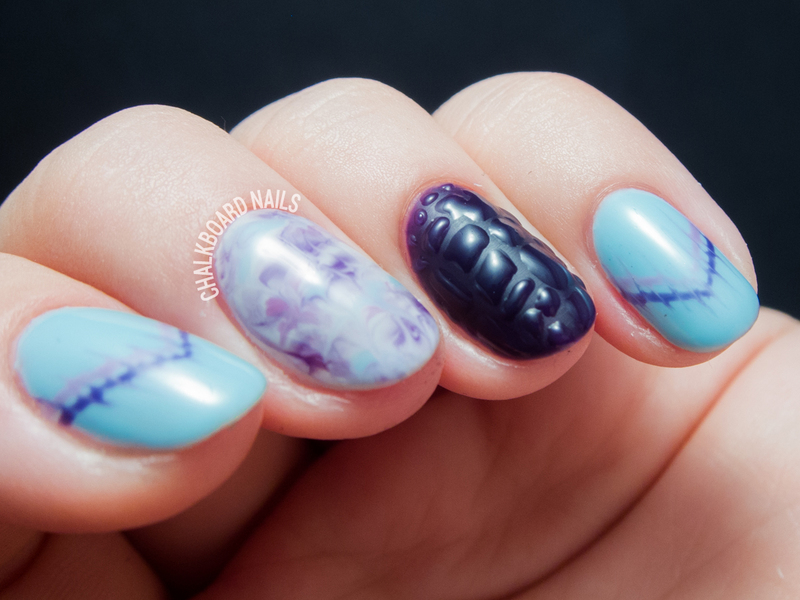 This nail look is something that I experimented with a while ago. 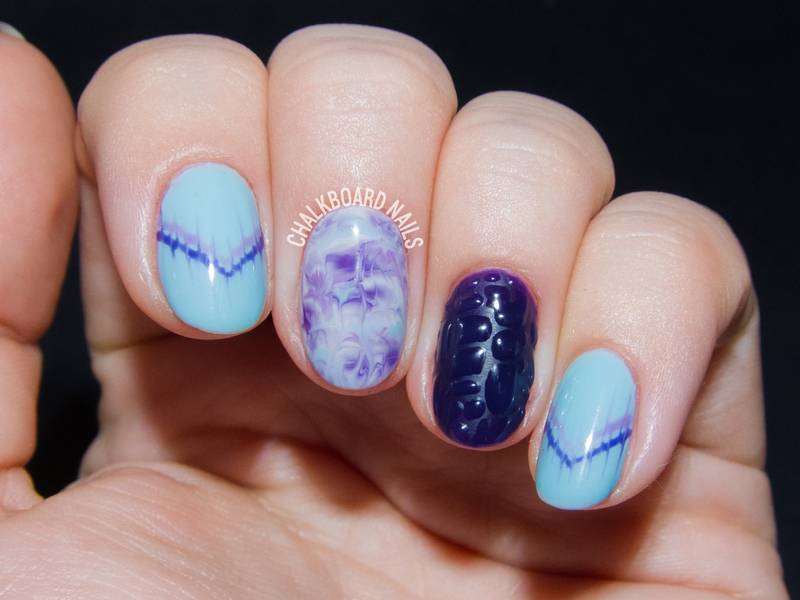 All of the flat, non 3D nails were created with variations on my favorite gel marbling technique, while the 3D nail was something I tried and think I could do better if I were to try it again. Read on for details! I used the OPI Venice collection in GelColor for this look. Begin by prepping your nails for a gel application and applying your base coat. Cure. Apply a single coat of base color and cure. Apply a second coat of base color, but don't cure! 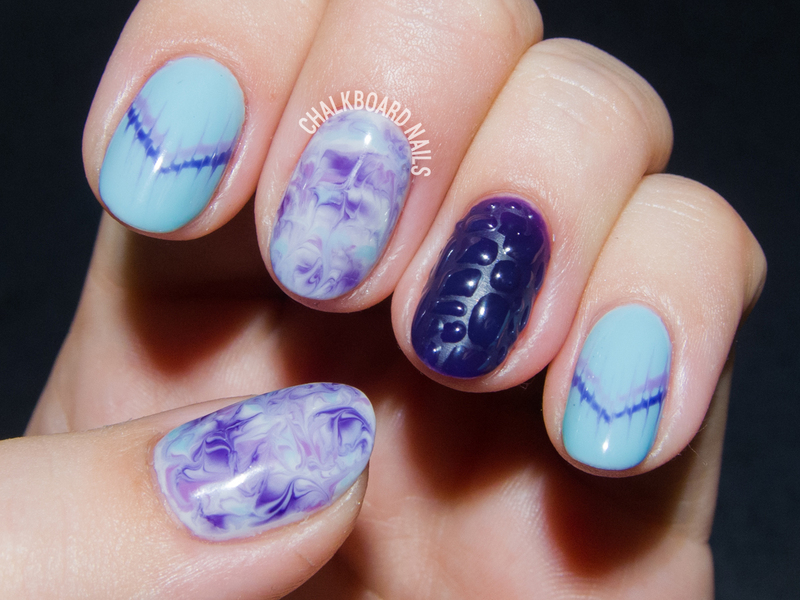 Drop spots of other colors of gel into the uncured layer, and then use a clean striper brush to swirl around the colors. Cure. Finish with a coat of top gel, cure, and cleanse. As for the textured nail, I was aiming for a kind of matte/shiny alligator skin texture. If I were to do it again, I would use a structure gel or some gel resin to create the texture, as it would hold up better and allow me to be more precise with the placement! Begin by prepping your nails for gel and applying gel base coat. Cure. Apply two coats of gel color, curing between each. Apply your top coat and cure, then cleanse. Use a fine grit buffer to lightly buff the surface of the nail until it is evenly matte. Using a nail art brush, apply gel resin, structure gel, or gel topcoat generously in your alligator-skin pattern. Cure and cleanse.